If you have ever had any good Thai dish such as larb, or nam tok, you will notice, well if you are looking closely enough at the, that it uses a rice powder. 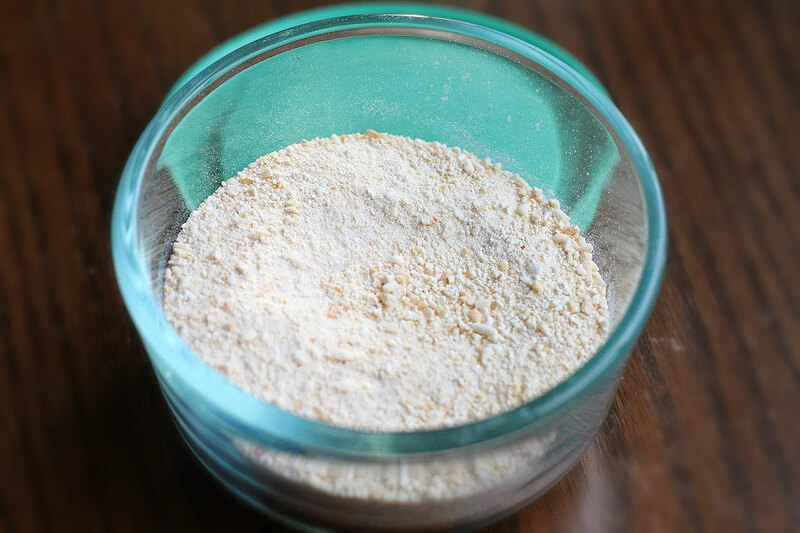 Believe it or not but the Thai toasted rice powder is an essential ingredient in a handful of Thai recipes, and it adds not only a great texture, but also a nutty flavor to the recipe. You can find the toasted rice, most likely, at your local Asian supermarket, but needless to say, you always make this at home, and I’m going to tell you how. You might be asking, why Thai sticky rice? In my opinion, it brings out a nuttier flavor, and is a bit more traditional, but you could use Jasmine rice as well. That should not be a problem. Add the rice to a skillet, and bring to a medium heat. Shake the skillet from time to time, getting the rice evenly toasted. Cook the rice, until you have a light, golden brown color, being careful not to burn it. Once golden, pour into a bowl to let cool. Once the rice has cooled, add to a clean spice grinder, or to mortar and pestle. Pulse, or grind until you have a textured powder. Place in a sealable container, and store in your spice cabinet until you are ready to use. Feel free to add to your chicken, or beef larb, salads, or sauces, and enjoy!